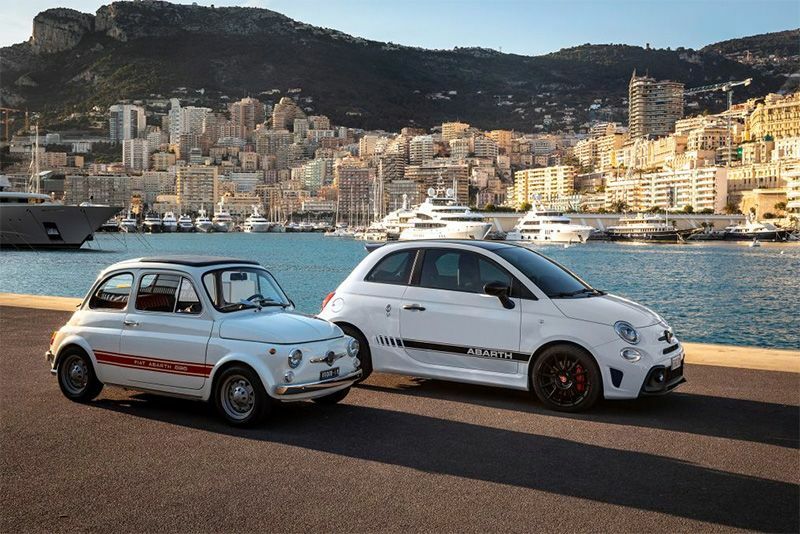 The Italian firm, Abarth, has announced improvements to its 595 and 124 models in celebration of its 70-year history. For 2019, Abarth has announced new updates that span their entire range of vehicles in honour of the 70 years since Carlo Abarth started the Turin-based company. With a rich history in motorsport, including 10 world records, 133 international records and more than 10,000 victories, it was only natural that the unveiling the 2019 range took place at the opening of the 87th edition of the Monte Carlo Rally – where Abarth too top honours back in 1980. So, what's new then? Well, the new cars will sport 70th Anniversary badges on their exteriors which will be optioned in a range of colours. Each colour is accompanied by a name based on historical rally wins, namely, Turini 1975 White, Costa Brava 1972 Red, San Marino 1972 Black, Hessen 1972 Blue and Alpi Orientali 1974 Grey. These finishes will be applied to all 2019 models, from the base model 145bhp 595, to the 180bhp 595 Competizione, and the 124 Spider and GT, although it doesn't appear that there'll be any performance modifications on offer. That wasn't the only good news from Turin though. Coinciding with the announcement of the new models came the news that Abarth cracked their sales record in Europe too, with nearly 23,500 cars sold. That's 36.5 per cent up from 2017s figures, it's clear they've got something right. With the good news for Abarth comes the good news for their clients. The company announced that – until 30 June 2019, and in celebration of the results – they're offering discounts on selected Mopar accessories to European owners who purchased their vehicles in 2018. Offers include items such as carbon fibre kickplates at a 20% discount for 595 owners and a 30% discount on a strut bar for the 124 Spider and GT. Good news all around, it seems. Nice one, Abarth!